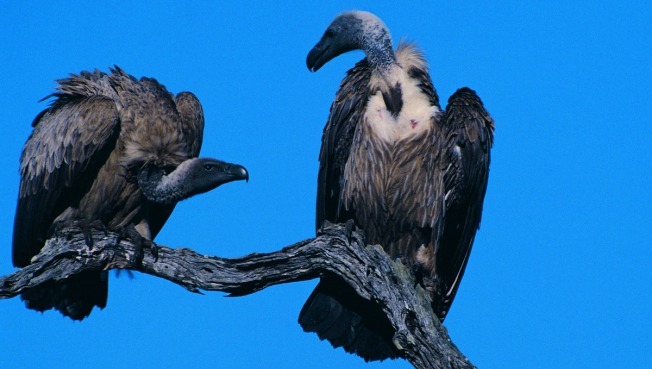 Vultures do not circle their prey or seek out dying animals upon which to feast. Rather, the birds circle columns of warm air and prefer to dine on animals that died between two and four days before. A feature of the aggressive storms on Saturn's moon Titan is a downpour of liquid methane that creates shallow pools larger than the Great Lakes. The pattern suggests that Titan has seasonal weather but the source of the methane remains unknown. There are many misconceptions about one of the most reviled animals on the planet. Despite a litany of cartoons to the contrary, vultures do not circle their prey or seek out dying animals upon which to feast. Rather, the birds circle columns of thermals as they ascend and prefer to dine on animals that have been dead between two and four days. A terracotta vase that served as a patio tchotchky for 20 years turned out to be a Egyptian Canoptic funery jar that is more than 3,000 years old. The 13-inch vase has a pharaoh headdress originally held internal organs as part of the mummification process. The artifact is now being sold at a British auction house. "Free Doritos" has been crowned the most popular Super Bowl commercial as a result of a consumer ad contest. The sophomoric spot cost $2,000 and was created by a pair of brothers who got a $1 million bonus after the ad topped the charts. Anheuser-Busch had a 10-year run as the No. 1 commercial. Zimbabwe slashed 12 zeroes off of its currency in a desperate effort to stave off inflation. A $100 trillion bill is now just $100 in the country, where prices change several times a day and the lost of living is nearly impossible to keep up with. Inflation is so bad that it is estimated at five sextillion -- 5,000,000,000,000,000,000,000 -- percent. Human consumption of frogs could lead to their extinction, a new study shows. The level of consumption has led to the extinction of more than 100 species of frogs and that could rise to 3,000 in the future.